No doubt, you’re left feeling overwhelmed. You’re not alone. Many people put off travel planning until the last minute because they dread the details, but you can avoid many of the headaches by getting a jump start on preparations and carefully planning your scuba diving vacation. The Monterey Bay Sanctuary attracts divers from around the world: more than 65,000 of them visit each year. Lured by the unique beauty of the kelp forest and underwater canyon, divers also appreciate the good visibility and safe conditions. Monastery Beach and Stillwater Cove in Carmel; Bluefish and Whaler’s Coves at Point Lobos; Monterey State, San Carlos and McAbee Beaches in Monterey are popular beach dives. Monterey has been rated as the best beach dive in the U.S., according to Scuba Diving magazine. Check with local dive centers for regulations. Few dive locations always crop up in conversation the way that Egypt’s Red Sea does. If it isn’t the first destination to crop up in a wow diving conversation, it is typically among the first 3. Join a Red Sea dive live-aboard to experience the best diving that the region has to offer. The Red Sea takes its name from the periodic algal blooms that occur here painting the sea with a reddish hue, and not the red-tinted Egyptian mountain ranges that surround it. 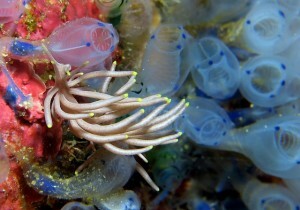 It’s a diver’s paradise, with the warmest of warm seas, very little wave action and unsurpassed visibility. The Red Sea is considered to be one of the 7 Wonders of the underwater world, harboring more than 1,000 species of invertebrates and over 200 species of soft and hard coral. This forms the basis of a marine eco-system which includes 1,100 species of fish, of which just under 20% are endemic, i.e. these fish species can only been found here. The high level of endemism in the Red Sea is one of the main factors that makes scuba diving in Egypt so interesting. Red Sea scuba diving offers you unobstructed opportunities to spot tropical marine life in crystal clear waters, ranging from sharks and dolphins to gorgonian fans and feather-stars. Variety is in no short supply either and depending on where you choose to dive. 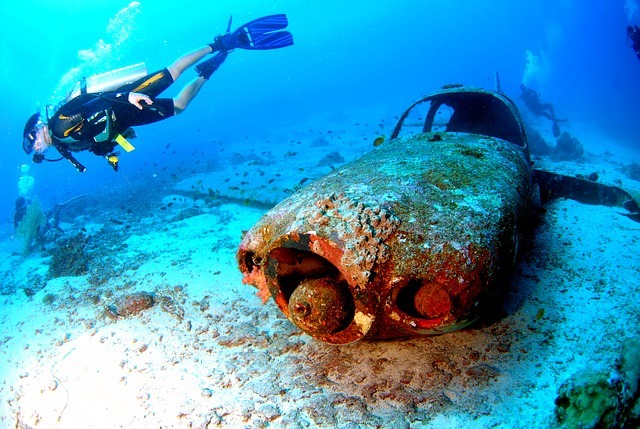 Your Egypt diving holiday can include shallow patch reefs, drift dives and walls, or a collection of some of the most interesting wrecks you are likely to find anywhere. In other places vibrant reefs stretch far into the ocean and form intricate labyrinths of plateaus, lagoons, caves and gardens. One moment you could find yourself on a coral garden atop a summit and the next a sheer wall could plunge thousands of feet into dark ocean depths. The Red Sea’s abundance of marine life and depths of the reef are a thrill that many divers will tell you is unbeatable. The Red Sea as a whole is a pretty special attraction and like a box of Quality Street – everybody has their own favourite. Some would say that Sharm El Sheikh on the Sinai Peninsula has the best of what the Red Sea has to offer. The legendary dive location that is Ras Mohammed, wrecks the likes of the Thistlegorm and the Straits of Tiran are all easily accessible from Sharm El Sheikh. Dotted with at least 10 other interesting wreck sites, the area is also alive with big fish such as barracuda, turtles and eagle rays. For jaded divers who have seen it all, the further south you go, the better the quality. Hurghada and Marsa Alam offer you a starting point from which to explore the Abu Nuhas wreck system, and incredibly rich sites and pelagic shark action at The Brothers, Elphinstone and Zabargadwhich satisfy even the most experienced divers. Resort stays in Egypt will allow you the opportunity to base yourself close to a selection of fine dive sites. See our Sharm El Sheikh day trips or Hurghada day trips sections. Red Sea live-aboards on the other hand, are always a top choice for those who want to see more than any land-based stay can offer. These dive cruises can take you around the best of the Northern Red Sea (Sinai Peninsula and the Hurghada wrecks) or the Southern Red Sea. Breathtaking diving, fantastic boats and inspiring topside scenery all await you here. The Red Sea is a fine choice for diving any time of year but the water temperatures do vary significantly. From June to August the water can reach 30°C but it falls to a chilly 22°C in February. Do bring an appropriate exposure suit for the time of year – northern hemisphere winter = 5 or 7 mm full length, northern hemisphere summer = 3 mm shortie to long. Most diving in the Maldives is drift dives from live-aboards where you allow the current to move you along. Due to the myriad channels and passages between the atolls, the currents sweep and play throughout the island chain so that nutrients are always on the move. This accounts for the vast numbers of fish enjoying the passing feast and you can expect to see Napoleon wrasse, parrotfish, snappers, barracudas, jacks and sweetlips in every site where the water flows. In the channels, you can explore the caves, caverns and overhangs where soft corals proliferate, and there is a riot of colorful sponges, invertebrates and gorgonian fans all profiting from the nutrient-rich water. There are also plenty of cleaning stations where cleaning wrasses and shrimps service the larger marine species. Inside the atoll lagoons you often find pinnacles of rock vaulting up almost to the surface. These are known locally as ‘Thilas’ and are often bejeweled with sessile life forms. These formations bring water up from the ocean floor against their walls, feeding the sponges and soft corals that cling to its sides as well as creating an environment that supports a plethora of crustaceans and schools of resident fish. During the El Niño of 1998 some shallower areas of the coral reefs have been adversely affected by bleaching. However the accepted view is that while the reefs are returning to their former colorful glory, the marine life has never dwindled and indeed many believe it has increased in numbers over the past few decades. Ari Atoll – Although there are many sites in the Maldivian islands where you can encounter pelagics and big schools of fish, Ari Atoll is the place with the greatest reliability. Passing big fish, such as whale sharks, mantas, hammerheads and eagle rays are frequently seen, as well as large residents like the Napoleon wrasse, grey reef and white tip sharks, and large schools of blacktail barracuda and batfish. Since the islands are scattered over a large area, and some of the best diving is found inside and outside the atolls’ lagoons and in the channels in between, the best way to see the region is by live-aboard. Some resorts have good diving nearby, but if you wish for the greatest diversity and a variety of sites, the live-aboard is King. Read on for details of the dive sites you can explore from our live-aboards in the Maldives. 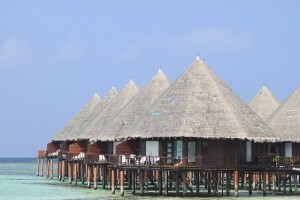 Note that Maldives live-aboards are very popular and you need to plan ahead to make sure you get the trip you want. We recommend that you book at least 6 months in advance to avoid disappointment. Many boats become fully booked many months prior to the departure date and last minute availability is almost unheard of. The Maldives scuba diving runs all year round, but the recommended months for confirmed live-aboard departures are from November to May. If you wish to come outside of these months then it may be more difficult to find a departure date that suits you. April, May and June are the hottest months of the year and, due to plankton blooming, see manta rays and whale sharks. These months are popular with divers seeking the large Pelagics. December to March normally enjoys the best visibility. 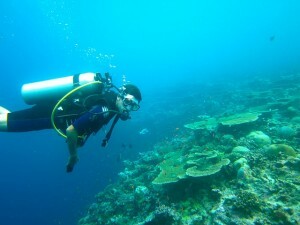 The Maldive Islands have a wet season between May and August, which reduces visibility and may restrict the number of accessible dive sites due to poorer surface conditions. This is less of a concern for liveaboards that can vary their itineraries to cover only those sites enjoying the best dive conditions. Australia is known for its unusual animals, rich marine life, fascinating culture, Crocodile Dundee, Vegemite and very distinctive accents. When it comes to below the ocean’s surface, one particular part of Australia’s marine heritage stands out above all others; the Great Barrier Reef and here is the best place to find your choice of Australian Live-aboards. Rated as Australia’s, and one of the world’s, top scuba destinations, diving the Great Barrier Reef and its marine park should be at the top of any true dive enthusiasts’ must-do list of places to visit. Stretching over 2,000 km from Lizard Island in the north down to Great Palm Island in the south, the Great Barrier Reef is the world’s largest coral reef system and the only such structure, made up of living organisms, actually visible from space. The main attractions being the dizzying array of marine life it supports, many of which are believed to be endemic to the Great Barrier Reef showcasing the best of Australia scuba diving. A more specific attraction of the reef is that it’s the breeding ground for 6 species of turtle, attracted by varied menu of seagrass. The olive ridley, hawksbill, leather back, green, flatback and loggerhead turtle are all frequently spotted at various sites on the reef. The reef is also a veritable playground for dolphins, whales and porpoises, including humpback whales, minke whales and Indo-Pacific humpback dolphins. Around 30 species have been recorded on the Great Barrier Reef. Dugongs are also commonly spotted. Of sharks scuba diving in Australia and the Great Barrier Reef has no shortage, with 125 recorded species of shark, stingray or chimera lurking about the reef or on the sandy bottoms, at home amongst the reefs endless offering of choice tidbits. More than 400 species of soft and hard coral smother the region. An annual mass spawning takes place when the corals of the inner reefs spawn in the week after the October full moon and the outer reefs do the same in November and December. Molluscs, giant clams, nudibranchs, cone snails, pipefish and seahorses, all have multiple species hidden amongst the coral’s nooks and crannies, providing colour and life to a reef too expansive for to ever explore in its entirety in a single lifetime. The corals of the Great Barrier Reef harbour over 1,500 species of fish, including clownfish, red-throat emperor, red bass, several species of snapper and coral trout, lionfish, stonefish and many more. In a demonstration of marine diversity, even saltwater crocodiles have a connection to the reef. Luckily they are restricted to marshes and mangroves on the coast near the reef. Scuba diving on the Great Barrier Reef will undoubtedly be the highlight of your trip, each section of the reef brings something different. TheRibbon Reefs and Osprey Reef offer the most amazing dives in quiet, pristine dive locations, which means your Australia diving trip will be truly unforgettable. Famous dive sites like Cod Hole will provide you with the opportunity to come up close and personal with giant potato cod that are virtually tame, or wet your suit whilst perched on the sandy bottom at North Horn in the North Coral Sea as you come to within snapping distance from a shark feeding frenzy. Great Barrier Reef liveaboards are the best way to make the most of your diving trip to Australia. Dive The World offers you access to the better Cairns barrier reefs with day-trips, or more often short liveaboards to maximise your number of dives. Due to the distance to the Ribbon Reefs and Osprey Reef, they are accessible through liveaboard cruises only and are your key to the splendour that can only be found on these distant parts of the Great Barrier Reef. However, due to the low number and popularity of these trips, we recommend you booking well in advance. Australia as a whole is a year round dive destination but, for most part, late August to early December yields the best Great Barrier Reef diving conditions. The best time for an Australia liveaboard is July to November, although in the Coral Sea at Osprey Reef and North Horn, visibility peaks during June and September. Minke Whale season is usually from June to August and is the ideal time to spot and interact with these gentle giants.